I recently tried Bossy Kitchen's buffalo cauliflower appetizer. To say it was refreshingly delicious is an understatement. I loved the simplicity of using cauliflower and the delectable result - bold buffalo sauce with a meaty base - minus the calories. 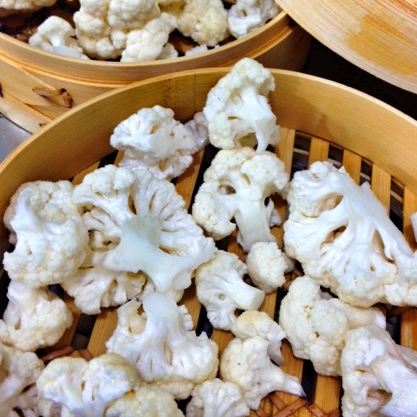 The beauty of cauliflower, other than the fact that it's good for you, is that the taste can be easily disguised with other flavors - and this is no exception. 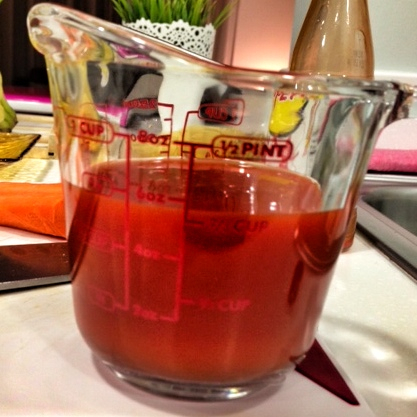 This was my first attempt at making my own buffalo sauce and I was so astonished at how easy it was I looked up over 10 recipes till I got convinced that no - it really is that easy. All you need is a bottle of your favorite hot chilli sauce, 5 tablespoons of margarine (I used low fat Flora), a dash of Worcestershire sauce, a pinch of salt. And that. Is. It. 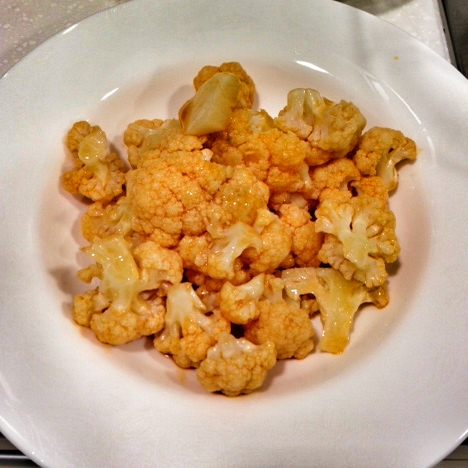 First, I steamed a small head of cauliflower. 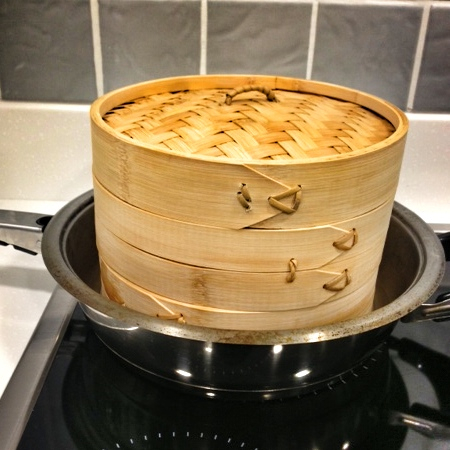 I love my bamboo steamer. Fast. Efficient. And steams to the perfect crunch. 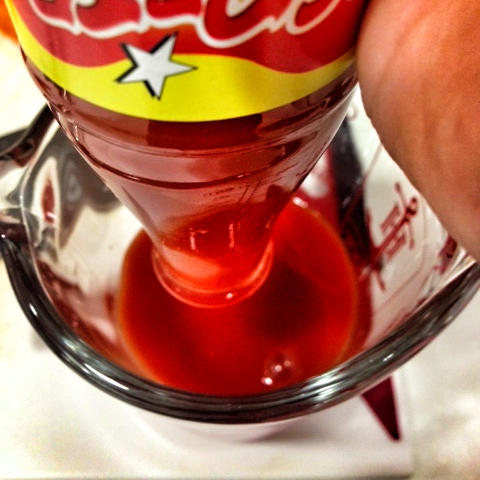 For the sauce, empty the entire contents of your favorite chili sauce into a measuring cup. Recipe called for 3/4 of a cup but this was just right (a notch short of 3/4). 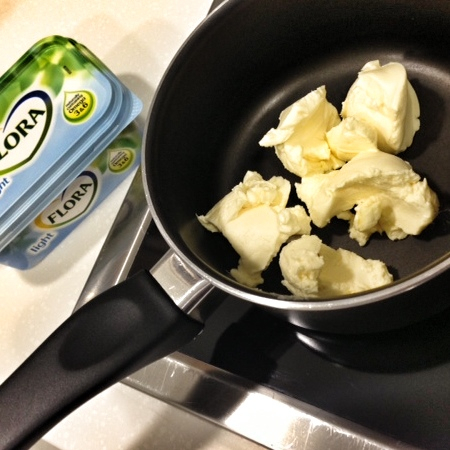 Melt 5 tablespoons of butter or low-fat margarine. I realize it sounds like a lot but the sauce is double what I needed to feed two. So feel free to half this recipe. 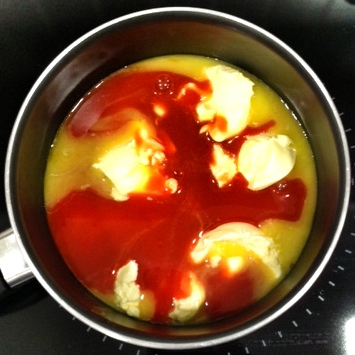 Stir in the chili sauce and keep stirring until well incorporated. Sprinkle in a dash of Worcestershire sauce and a pinch of salt. Toss it in the cauliflower and serve (immediately) with a side of ranch and carrot sticks. Perfect as a meal on its own or as a side to grilled chicken. Hope you find it as astro-gastronomical as we did!